Day 19 of the Bankroll Challenge saw Doug Polk go back to his specialty, cash games. Doug started with some NL2, but soon after got bored and fecided to take a HUGE shot at NL10. Doug’s shots over the course of the challenge has been a mix bag, with some going spectacularly well and others not so much. With 15 buy-ins to match his 15 year old bottle of Scotch, he opened a few tables of NL10 and got to work. The bankroll went up and down for a bit, but Doug was able to book a solid $11 win. Now, we begin day 20 with the bankroll at $161. Doug started the day as he always does, saluting the chat and new subs. Doug also announced that he won’t be streaming this Friday, and the next stream will be Monday the 21st. Doug decided to play some more NL10 cash, entering four full-ring tables with his 16 buy-in bankroll. As the games booted up, he responded to some messages from the Twitch chat window. The Twitch chat was confused for a moment when Doug first mentioned NL10, thinking he was going to play NL100. Doug reassured the chat that even for a shot, playing with 1.6 buy-ins would be far too ambitious. The chat complained (as they regularly do) that he was only playing the slow paced full ring games. Doug admitted that full-ring isn’t his game of choice, but it’s important for rake control. Just another sacrifice one has to make when broke. Doug was asked by the chat if he ever needs to take breaks from poker. He responded that because he does other stuff, like his YouTube Channels and streaming, he doesn’t get tired of poker. As Doug was answering questions and just 17 minutes into the stream, the bankroll was at $169. A great start to the day. A Twitch chatter asked if Dan Bilzerian’s claim of winning 50 million playing poker seemed possible. Doug said that he has no way of knowing, but does think it seems fishy. The Twitch chat also asked about him seemingly abandoning proper bankroll management for the challenge. They also accused Doug of acknowledging that the micros are now impossible to beat with proper bankroll challenge. Doug was asked if he had calculated the opportunity cost of playing this challenge. Doug answered that he wouldn’t be playing as much poker anyway, and the Bankroll Challenge helps him establish a brand and build a fan base. Doug was asked why doesn’t he play Heads Up Sit and Gos since they seem right up his alley. He explained that the high 5% rake makes the HUSNGs on WSOP.com not worth playing. A Twitch chatter asked Doug to describe the timeline of his career. 45 minutes into the stream, the Bankroll was up to $171. Doug felt a bit more of a breathing room after getting a double up from Twitch regular JonBlvze. Doug checks, JonBlvze bets $1.07, Doug raises to $2.80, JonBlvze calls. Unfortunately, Doug had some technical issues 1 hour into the stream. so he couldn’t ask for his audience to throw their Dongers up. To make it up for it, here it is, in all it’s Dongerific glory. After the break the camera stopped working for no apparent reason, but was quickly resolved. The bankroll fluctuated from as high as $186 to as low as $174 in the next few orbits. Around the 2 hour mark, Doug doubled up against JonBlvze again, with AK over QQ…. Again! 2.5 hours into the stream the bankroll sat at $183. That is, until a poorly timed bluff from Doug sent it back down to $173. He started losing money quickly towards the end of the stream, describing it as a ‘’free fall’’. He was dealt Pocket Tens just as another table folded around against his pocket Kings. Could he get value out of the Tens? The world may never know, as the stream cut off just as the River was being dealt. Overall, this session had been both profitable and fun for the Twitch audience. The Twitch stream dropped off just as Doug was starting to lose. Doug Polk took to Twitter to show how much he made on Day 20. The bankroll challenge will return Monday the 21st, with a bankroll of $168. 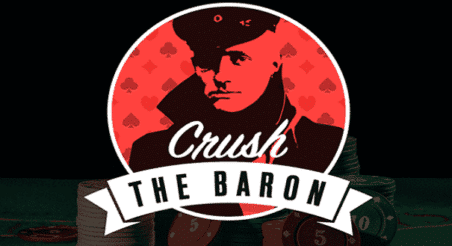 Get daily updates from the Bankroll Challenge here!